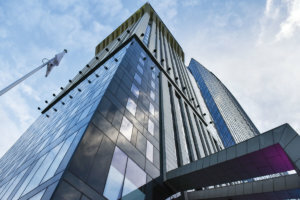 The occupancy of Kyiv hotels in July-September 2018 was 52.4%, which is 4% more than in the same period of 2017, such statistics are presented in the study by CBRE Ukraine international consulting company (Kyiv). “The key performance indicators of the hotel market in Kyiv continued to recover in 2018, especially thanks to the results in April, the month of the UEFA Champions League 2018 final. Thanks to a record high figure in April, when the average occupancy in the market reached 59.4%, the average occupancy rate by the end of the third quarter of 2018 amounted to 52.4% (2.1 p.p. more year-on-year),” CBRE Ukraine said in a report. According to the report, by the end of the third quarter of 2018, the average price of a room was $106, which is 0.3% higher than in 2017. At the same time, the average yield of a room was 55.5%, which is 4.6 percentage points more compared to the same period of 2017. According to CBRE Ukraine experts, the increase in profitability of rooms in luxury, upper upscale, upscale and upper midscale hotels was due to a rise in the average price, while the growth of profitability in economy and midscale hotels was due to a high occupancy. CBRE is the largest consulting company in the real estate field with over 450 offices in the world and about 80,000 employees. The company’s shares are traded on the New York Stock Exchange. The Ukrainian office of CBRE was opened in January 2008 and is part of the company’s affiliate network. 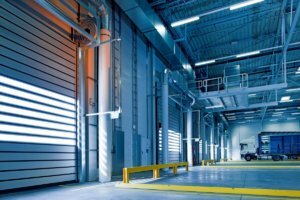 The gross occupancy of logistics real estate in the Ukrainian market in January-June 2018 increased by 43% compared to the same period in 2017 and amounted to approximately 100,000 square meters, according to statistics given in the study of CBRE Ukraine international consulting company (Kyiv). According to the CBRE Ukraine survey, the share of occupancy of warehouses by large retailers was 58%, by light industry, pharmaceutical and medical companies some 26%. About 62% of rental transactions were associated with relocation or extension. The share of large transactions (more than 10,000 square meters) was 23% and was represented by leasing 20,000 square meters by Comfy in the Raben warehouse complex near Kyiv, as well as 20,000 square meters by Eldorado with the move to RLC Fozzy Distribution Center. According to CBRE Ukraine, the vacancy rate in the first half of 2018 decreased by 2 p.p. and amounted to 4%. The declared rent rates in A class warehouses at the end of the first half of the year were in the range of $4.6-6 per square meter a month. Effective rental rates in A class warehouse complexes ranged from $3.4 to $5.2 per square meter a month, while in B class warehouse complexes they stood at the level of $2.5-3.4, where the upper limit has grown by 13% since the beginning of the year. As a result of fluctuations in the exchange rate, rates in U.S. dollars were unstable, while most of the deals were signed in hryvnia. Occupancy of Kyiv’s hotels in the highest peak of the tourist season (May-August) grew by 1.6 percentage points (p.p.) in the upscale segment, to 47% and by 5 p.p. in the midscale segment, to 56%, the press service of Jones Lang LaSalle (JLL) in Ukraine has reported. According to JLL, Average Daily Room Rate (ADR) in the upscale hotel segment in Kyiv in May-August 2018 grew to $175, which is 10% more than in May-August 2017, while Revenue Per Available Room (RevPAR) grew by $13, to $85. “May was the month when hotels were occupied the most, when the UEFA Champions League final took place. 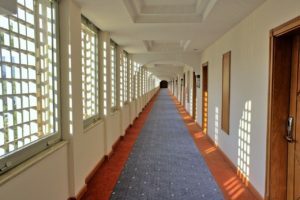 This event… allowed hotels of the upscale segment to reach occupancy of 59% with the increase of ADR by almost 40%, to $230,” Head of the Hotels & Hospitality Department at JLL Tetiana Veller said. According to the JLL report, in the midscale segment of the Kyiv’s hotels there was a decrease in ADR by an average of 10%, to $80. At the same time, due to the increase in the occupancy to 56%, RevPAR in this segment increased to $45. According to the consulting company, Kyiv hotels in the eight months ending August 2018 showed an increase in occupancy by 1 p.p. in the upscale segment and by 2 p.p. in the midscale segment, the growth of ADR – by $15 in the upscale and $2 in the midscale.